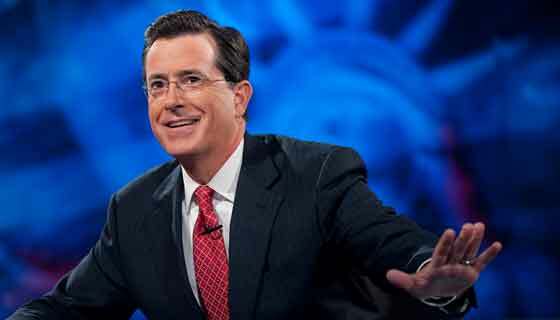 Stephen Colbert signed off from the Colbert Report for the final time last night, capping a nine year run spanning over 1400 episodes. The late night comedian will be taking over David Letterman’s spot on the Late Show on CBS in September 2015. 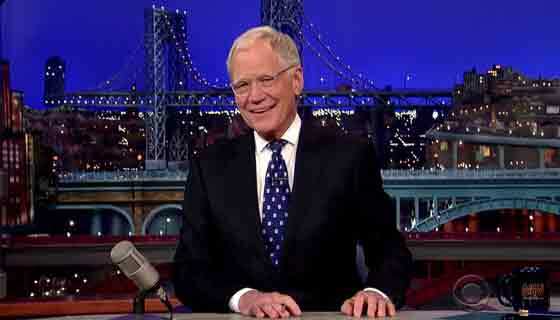 Letterman is retiring on May 20, 2015 after what will be 22 years at the helm of the Late Show. Colbert, whose satirical conservative persona was modeled at least partly on Bill O’Reilly (who Colbert referred to as “Papa Bear”), has earned a reputation as a uniquely gifted satirist and interviewer. Colbert’s legendary wit surprised politicians of all stripes with interviews that sought to highlight hypocrisy and illogical stances on issues. 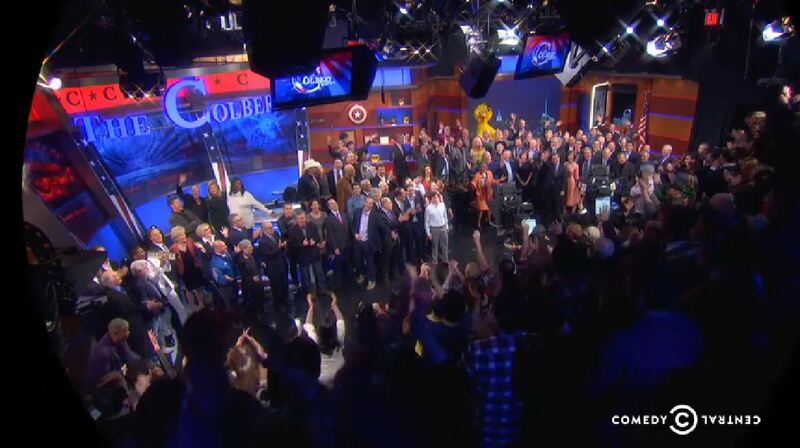 The Colbert Report closed with a fitting tribute. Dozens of big-name actors, television stars, news anchors, politicians, historians, and scientists appeared at the end of the show to perform in a rendition of “We’ll Meet Again”. 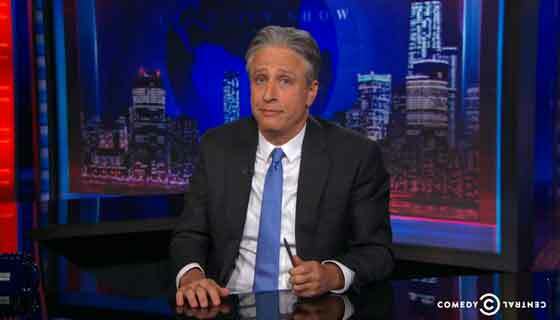 Among those who made an appearance were Bill Clinton, Katie Couric, Neil DeGrasse Tyson, Willie Nelson, Charlie Rose, Rod Stewart, Henry Kissinger, Thomas Friedman, James Franco, Mike Huckabee, Tom Brokaw, Arianna Huffington, and of course, Jon Stewart.